Captured by the APEX telescope, it’s the most detailed image of our galaxy ever captured from the Southern hemisphere. Experience the Milky Way in a brand new light. On Wednesday, the European Southern Observatory (ESO) unveiled a stunning new image of the Milky Way’s galactic plane taken by the APEX telescope in Chile’s Atacama Desert. 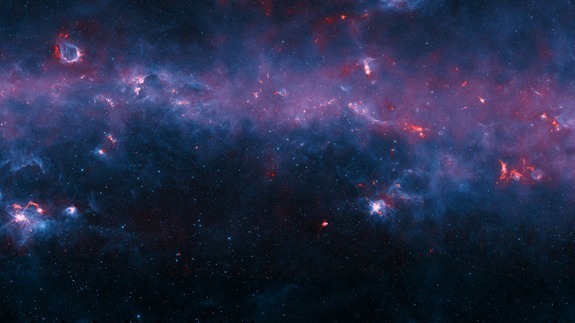 Called the APEX Telescope Large Area Survey of the Galaxy (ATLASGAL), the mapping of the Milky Way was conducted between July 2007 and November 2010.